Engineered for reliable, industrial-strength sweeping, the Tennant S30 rider sweeper improves indoor and outdoor performance, significantly reduces sound levels and features the exclusive SweepSmart dust control system. Create cleaner air while delivering better sweeping results with the SweepSmart dust control system. This 3-stage system filters sub-micron dust particles to a MERV 13 rating on the ASHARE 20 point scale, resulting in near HEPA levels. Pick-up everything from fine grains of sand to light debris on almost any terrain or floor surface. 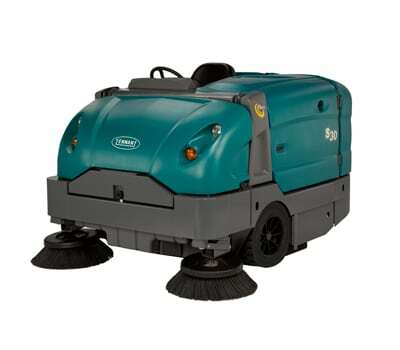 The Tennant S30 ride on sweeper offers true indoor/outdoor flexibility while delivering exceptional cleaning results. Focusing on safety, the Tennant S30 ride on sweeper provides better operator sightlines, reduced noise levels, and easy operation. This is achieved with a cab forward design, key material and system improvements. The SweepMax dust control system lets you run longer with optimum performance. 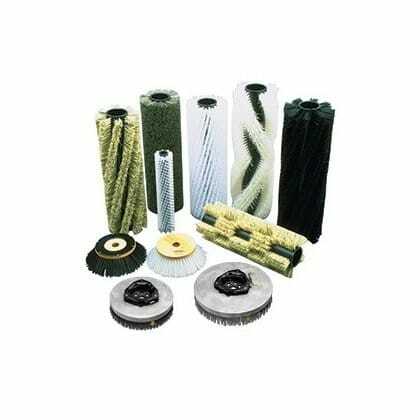 Improving air flow filtration and dust control for sweeping, the patent-pending S20 SweepMax system uses a 3-stage dust control system. Remove fine dust and moisture by redirecting it into the hopper with the second stage cyclonic prefilter. Reduce down-time, service time and maintenance costs by quickly accessing the heart of the S30 with no-tool easy-to-open covers. Engineered, fiber-reinforced composite covers are light weight, corrosion resistant and manufactured with a high-density material. The superior finish makes these covers easy to clean and restorable even if damaged. Enhanced operator safety and productivity with a cab forward ErgoSpace operator compartment. Achieve outstanding results in the harshest environments with dual side brushes which, combined with a large 395 L Duramer hopper, allow you to sweep up to 2030mm in a single pass. Minimise risk of damage to both the machine frame and the facility with rounded rear corners and rear tower bumpers that improve turn off from structures (walls and racking), while protecting from accidental contact. The Tennant S20G is a smaller LPG powered sweeper, you can also view our range of sweeping machines.